The Church Coordinator for the Diocese of St. Augustine, Trudy, has asked me and Dunn to form a team that will commit to standing up for LIFE and participate in our local community. I know Danny Schell has been helping organize this too. They are tapping on CFC Family Ministry because they know that we are pro-GOD, pro-FAMILY, pro-POOR and pro-LIFE which is humbling that our name alone is a testimony of our love for God. But when we can live up to our name, that’s when we start to truly make a difference. There are approximately 3,700 babies getting aborted every day in the U.S. alone (http://www.abortionno.org/Resources/fastfacts.html). I don’t believe the parents will let these children get killed if they know that Jesus is real and that Jesus is LIFE. Our work of evangelization is clearly more urgent out there in the sidewalk. It’s amazing and wonderful that we worship God in our churches. Let’s continue to do that but even more so let’s go out and tell the world of HIS love. I thank those who have been involved in the past 40 Days for Life prayer rallies. We now have a family for LIFE that prays in front of Planned Parenthood every Friday and Saturday from 6:30am to 9:30am. You don’t have to be out there the whole time. It’s great if you can but at least stop by and say a prayer. Join us brothers and sisters. Don’t look at your service as a burden but rather as an opportunity to express your love to Our Heavenly Father. This entry was posted in Personal Reflection and tagged CFC Family Ministry, End of Abortion, evangelization, pro-FAMILY, pro-GOD, Pro-Life, pro-POOR. 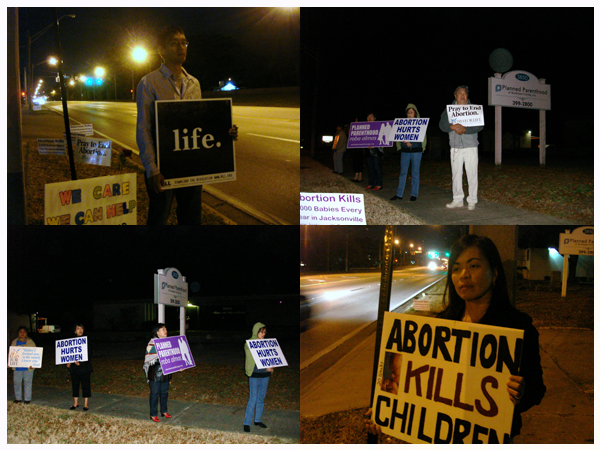 Day 13 – lives saved from abortion has already climbed to 92!!! Thank you Auntie Aida, Auntie Ruth, Auntie Ellen, Auntie Grace and Uncle Phil, JR, Jon for joining us this past weekend especially during the midnight hours! And to all who came at different times, praise God! As an extra Lenten offering, let’s give up an hour or two of our time this week and do something extraordinary. This entry was posted in Personal Reflection and tagged 40 Days For Life, End of Abortion, God, life, Pro-Life. It’s 4am but I can’t sleep. After witnessing one of the most powerful manifestations of God’s divine presence at the CFC-Youth conference, I am extremely overwhelmed. Actually, that’s an understatement. There is no way I could describe this oozing sensation in my heart that I experienced. I’m afraid that if I try, I won’t be able to give justice to the series of miracles that took place before my eyes. 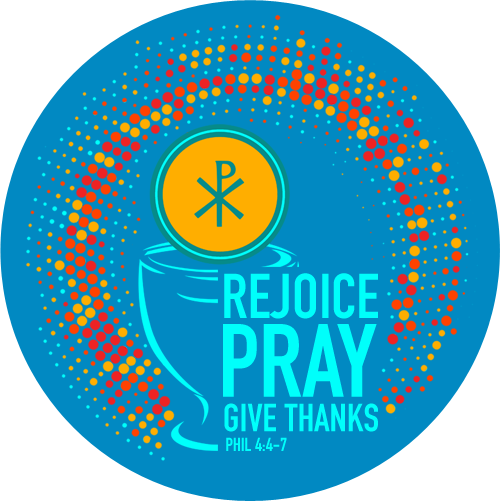 This entry was posted in Personal Reflection and tagged blessed sacrament, CFC-Youth, love. We praise and thank the Lord for our very successful 27th anniversary celebration last Saturday, June 21 at the Luneta. We did not realize, until later in the day, that Signal No. 2 had been raised over Metro Manila and that we were holding our festivities under the threat and along the path of a powerful storm. We began our Harvest Parade in clear weather and the rains did not come until an hour and a half later. By then the parade was well on its way. The last groups in the parade walked, waved their pennants and yes, danced joyfully, under the rain. None of the parade participants left; and neither did anyone in the crowd. The sea of umbrellas went up, lending more color to an already colorful gathering. CFC made a powerful statement by standing its ground despite the drenching rain. This entry was posted in Personal Reflection and tagged 27th anniversary, cfc, international council, luneta. The CFC-Youth needs our support. Their National Conference in Jacksonville is a month away. One way to help is by sponsoring a page in their souvenir program. You don’t have to limit your page to a collage of your household, a family portrait, or a business ad. You can promote your own blog, send a personal reflection or praise report, publish a story about your family, post a birthday or anniversary greeting, announce an accomplishment or simply honor someone in your life. There are many ways to get remembered in the souvenir. Not only will you help our youth in the process, you will also make the program more meaningful and truly worth keeping. This entry was posted in Personal Reflection and tagged CFC-Youth, souvenir program. I can’t stop grinning ear to ear . You have brought so much joy in my heart this weekend. You have shown me how very real and present You are in my life as I serve You in this SFC ministry. When I first heard the possibility of a mission trip to North Carolina just for singles, I immediately felt that You wanted me to go, but certain excuses popped up in my head. The fact that I had already planned ahead of time to go to Georgia the next weekend for a whitewater rafting trip. Two 7 hr. drives in a row was quite daunting to think about. But as the plans for the mission trip started to become more solid, I began to really look forward to it, waiting to see what You were going to bring about. This weekend, my faith at how You Provide, even the smallest details of my wants and desires, was strengthened. 1. When I thought of the fact that we had to drive 2 cars to accommodate the whole team to drive up there as sort of an inefficient way of doing things with the price of gas being quite high, I prayed hard on my way up to JAX that You would touch someone’s heart to provide a van to fit all 6 of us. When I got to Bel’s house, she told me that Sis. Grace and Bro. Phil were gracious enough to lend us their van. You provided. 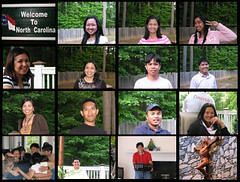 This entry was posted in Personal Reflection and tagged CLP, mission trip, SFC North Carolina.